Polaris Racing Australia is excited to announce our entry for the first time into the 2014 Finke Desert Race. Recently Rally legend four time Asia Pacific Rally Champion and Polaris Racing Team Driver Cody Crocker took out the “Finke” spec Polaris RZR XP 1000 for testing and was pleased with the results. 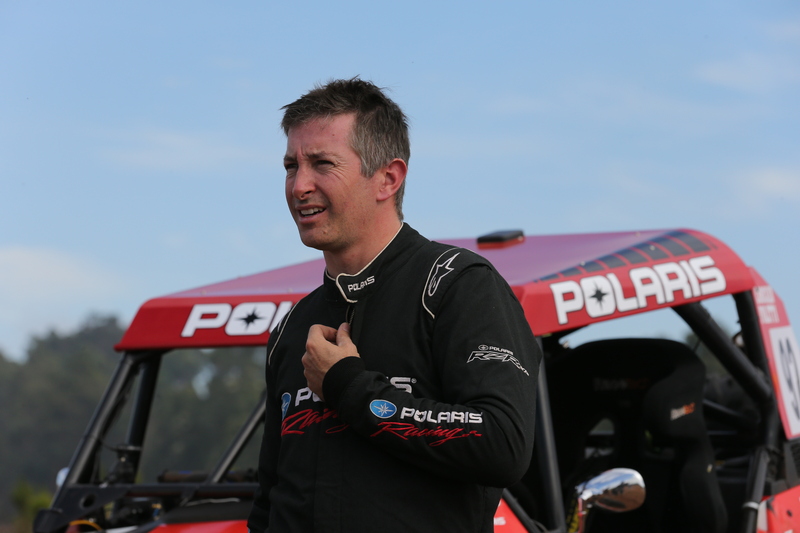 “The Finke Desert Race has been something I have wanted to do for a very long time and I am excited that Polaris has decided to enter Finke this year. The “Finke” spec RZR XP 1000 is an incredible purpose built machine. Thank you to Polaris dealer ARB Tamworth for preparing the RZR, I look forward to tackling the desert in it” said Cody Crocker. This RZR is set up very differently to our ARC RZR, where our ARC RZR is dropped low to the ground with a harder suspension set up to suit Rally stages our Finke RZR adds additional ground clearance and suspension travel along with additional items built to tackle the 470km racing distance including a larger fuel tank and tyres for the desert terrain” continued Crocker. Last year twelve side by sides (SXS) raced in the Finke Desert Race eleven of which were Polaris RZR’s. Polaris teams took out first, second, third and fourth places last year in RZR XP 900’s and this year’s event will see some competitors race with the all-new RZR XP 1000 launched late last year. Sixteen SXS are set to race in the 2014 Finke Desert Race, eleven being Polaris RZR’s. The Finke Desert Race consists of three days of racing. Day 1 this Saturday is the “Prologue” event where competitors complete an 8.3km race against the clock to determine their starting position for Race Day 1. Race Day 1 this Sunday is a 230km race from Alice Springs to Finke, competitors have a maximum time of four hours to complete this 230km leg or they are disqualified. Race Day 2 this coming Monday is the opposite of Race Day 1 being a 230km race from Finke to Alice Springs. Junior road racer Brandon Demmery has received an invitation to race at the next Malaysian MotoGP to be held in Sepang, October 11-13.